At CES 2015 this week Acer has taken the opportunity to unveil its latest desktop mini PC system in the form of the Acer Revo One RL85. Which is expected to be made available throughout Europe with prices starting from around €269 which roughly equates to $325. Although availability in America has not yet been announced by Acer. The Acer Revo One can be equipped with either an Intel Core i3 and Core i5 processor and can be fitted with up to three hard drives says Acer. Although specifications for their size have not been confirmed at the current time by Acer, so it’s unsure whether this means 2.5-inch or 3.5-inch drives. But due to the size of the mini PC Acer has created which also includes 2 x USB 2.0, 2 x USB 3.0, Gigabit Ethernet, HDMI 1.4 and a mini DisplayPort it may be a combination of both hard drive sizes allowing you to tailor the system to your exact requirements. 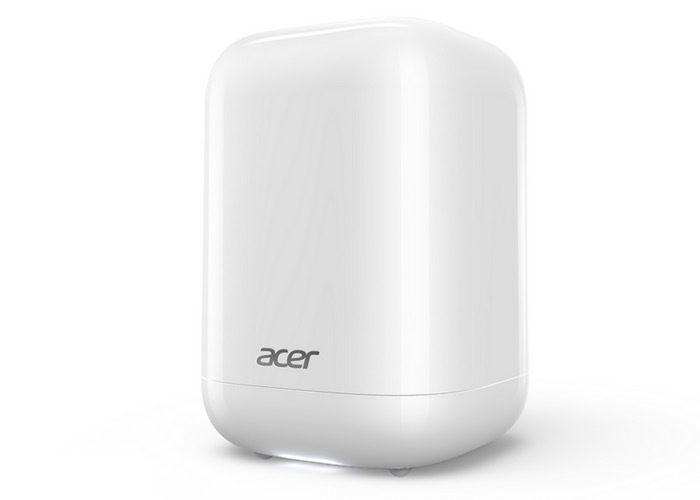 Even though Acer has unveiled their new Revo One mini desktop PC a number of specifications have been left out all their press release details including the operating system that the hardware will ship with. However you can expect more details to be announced in the coming weeks before its European launch and as always we will keep you updated as and when war is released.